NEW ORLEANS – Believe it or not, the 2018 USTFCCCA Convention is nearly two months away. 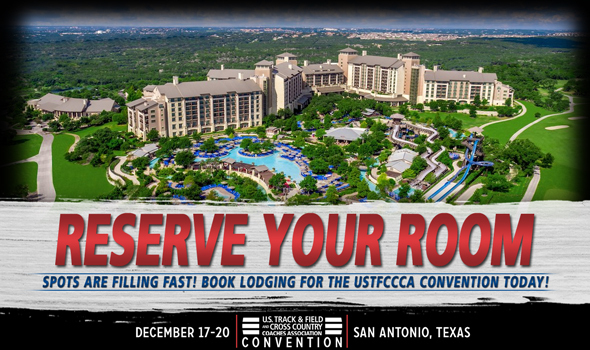 This year the USTFCCCA Convention will be held from Monday, December 17 through Thursday, December 20, at the JW Marriott San Antonio Hill Country Resort & Spa. If you want to make sure you’re right at the epicenter of the action at the JW Marriott San Antonio Hill Country Resort & Spa, which is where all of the events will take place, you’ll want to secure your lodging before too long because rooms are filling up fast. If you are arriving to the USTFCCCA Convention between Monday, December 17, Tuesday, December 18 or Wednesday, December 19, there is a three-night minimum stay required at the JW Marriott San Antonio Hill Country Resort & Spa. If you are arriving between those dates and don’t wish to stay for a minimum of three nights, you can book a room at either the Courtyard by Marriott San Antonio North/Stone Oak at Legacy or the Hyatt Place San Antonio North/Stone Oak, which are also available. Periodic shuttle service will be available from those hotels to the JW Marriott San Antonio Hill Country Resort & Spa and will be announced at a later date. Note: All three hotels are offering registered Convention-goers a rate of $137 per night (plus taxes). Please note that hotel rates are separate from the cost of registering for the 2018 USTFCCCA Convention. If you need a roommate, be sure to check out the Roommate Finder. We can’t wait to see all of you in San Antonio in a few months.